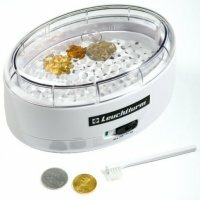 Caution: Cleaning coins may reduce their value or otherwise cause damage. Never clean coins without a professional opinion. Coins with significant collector value should not be cleaned.